LA HABRA >> For the third time in the last five years the La Habra High School girls softball team is headed back to the CIF-Southern Section semifinals, but not without a late charge by visiting Rio Mesa, of Oxnard.Top seeded La Habra, which won its 26th consecutive game, defeated Rio Mesa, 4-2, in a Division 2 quarterfinal game Thursday afternoon. 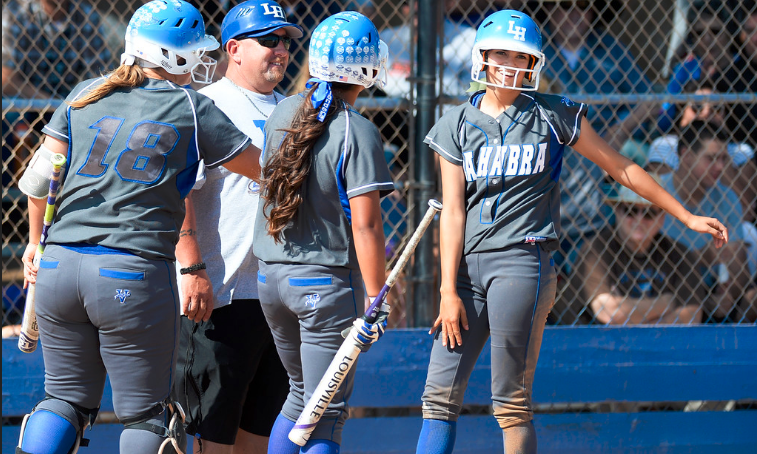 La Habra, ranked fourth in the state by Cal-Hi Sports and 17th in the nation by Max Preps, will travel to Valley View, of Moreno Valley, for Tuesday’s semifinals. Fourth-seeded Valley View (26-1) defeated South Hills, 1-0, in nine innings. The Highlanders (29-1) led, 4-2, in the top of the seventh inning, but Rio Mesa (15-11) missed an opportunity to tie the game as they left runners on second and third. Highlanders’ pitcher Hannah Johnson started the game by striking out seven consecutive batters before allowing a sharp single in the third inning. The junior would allow only two more hits in her five innings of work and picked up the win.